Move in ready 3 bedroom 2 bath 2 car garage brick home on beautiful landscaped tree covered lot. It has open floor plan with the kitchen opening up into the living and dining area. There is a breakfast nook as well that has bay windows over looking the back yard. The bedrooms are all nice sized. The master bath has two walk in closets, separate vanities, a tub, and a separate shower that has a bench inside it. Off of the living area are French doors that open into a screened in porch. Outside in the back yard is a metal storage building, a setting area with side walks and a sprinkler system. 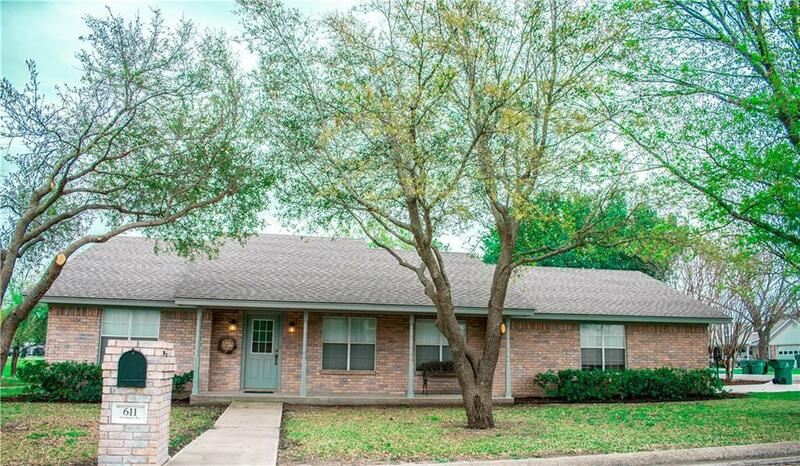 This home sits and a very quiet neighborhood on a dead end street.